Hi everyone! 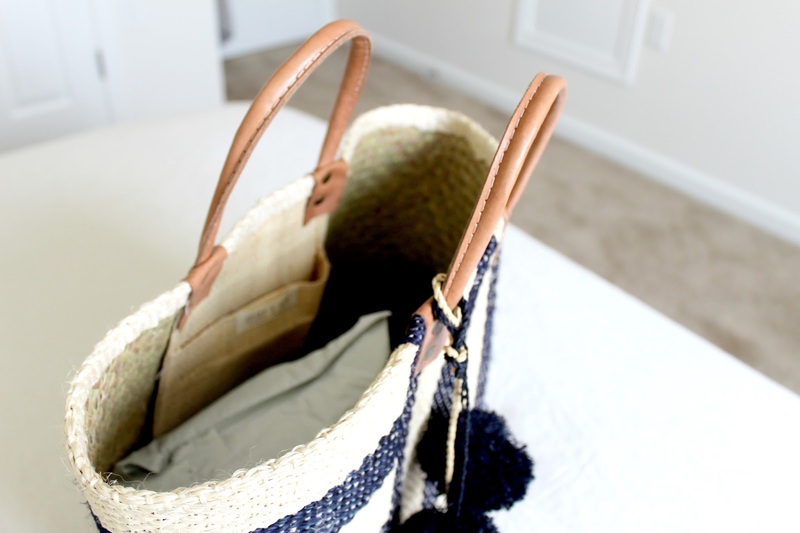 I wanted to share my current favorites and things that have been the main source of inspiration for my outfits and decor. 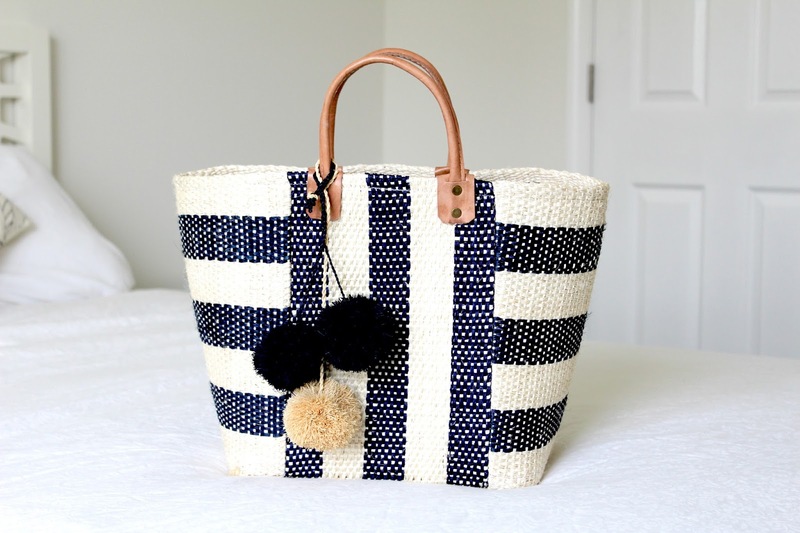 The Mar y Sol woven bag I purchased from Nordstrom and fell in love with the woven texture; the cutest summer bag. 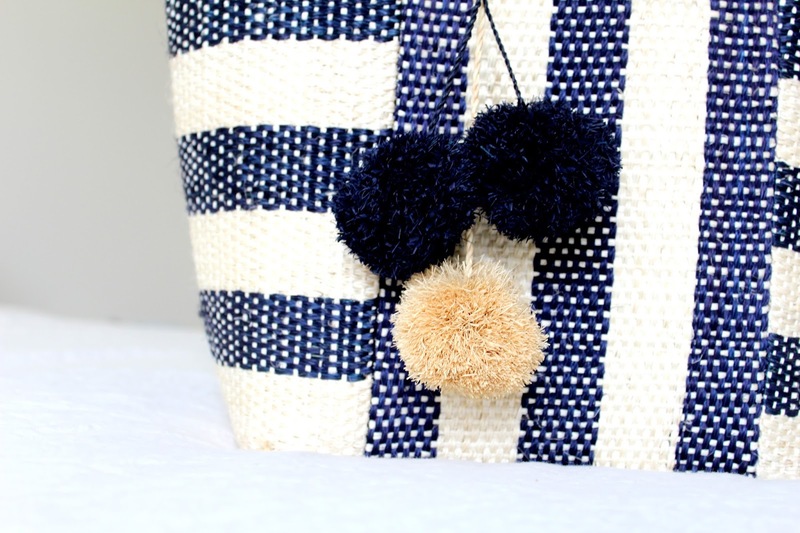 The navy stripe pattern adds to the simplicity of the bag and the pom poms are a great touch. Another monthly obsession of mine has been the desire to smell good. 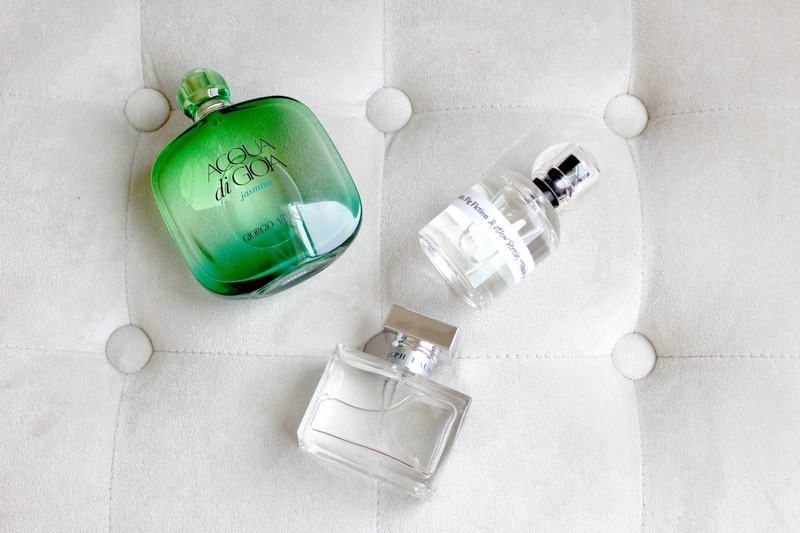 These 3 perfumes have been on heavy rotation! Giorgio Armani Acqua Di Gioia: Jasmine sucked me in with the packaging but the fresh and floral scent is right up my alley. I can honestly say my favorite scents are floral and fresh so I end up smelling like a bouquet most of the time. Haha! Ralph Lauren Romance is no different; a classic fresh scent with rose, ginger and musk notes is also a favorite of mine this month. 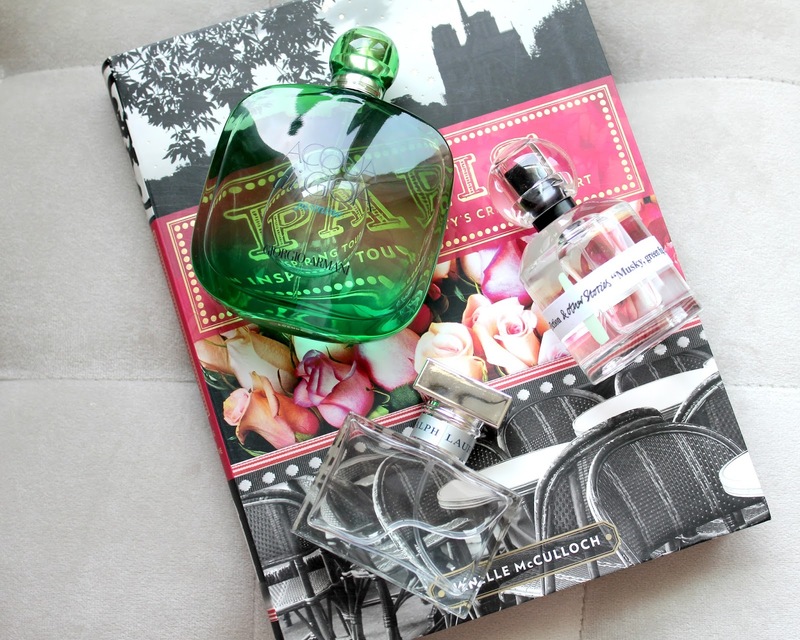 My final fragrance favorite (say that 5 times fast, haha!) of the month was recommended to me by Hanna of House of Petite while I was in London. She took me shopping and I discovered so fantastic shops one of them being & Other Stories. 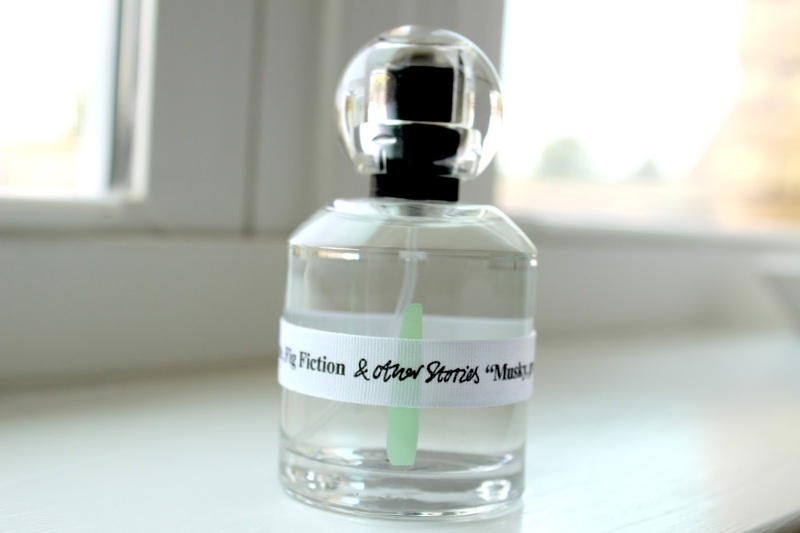 I found out that have one in NYC so I'm thrilled but she recommended Fig Fiction which has fig, green tea and musk notes and it smells absolutely amazing. Seriously, so good! Overall my Eurotrip still inspires me and has inspired me to redecorate my bedroom! A huge task if you ask me but I'm up for the challenge. 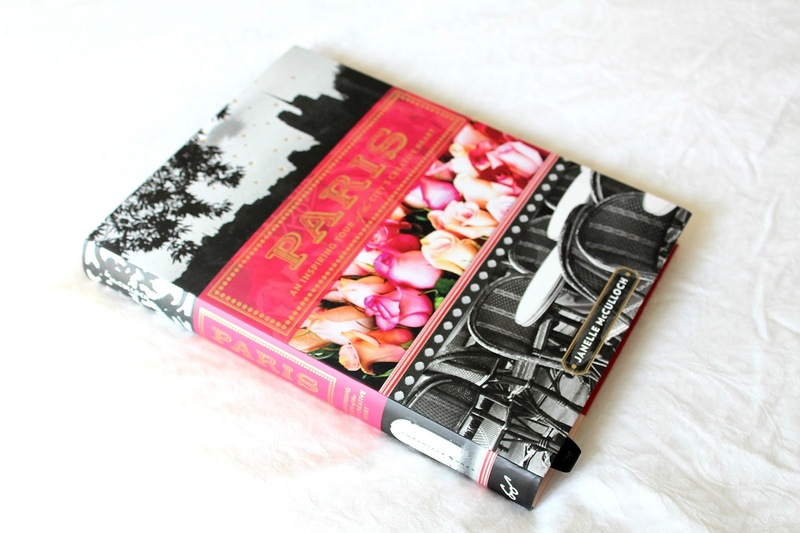 I'm grabbing inspiration from the photos I've taken and from this book that I picked up at Anthropologie. This book inspired my trip and is no inspiring the decor of the bedroom. It's a lovely book and I can't wait to share what my bedroom looks once complete!